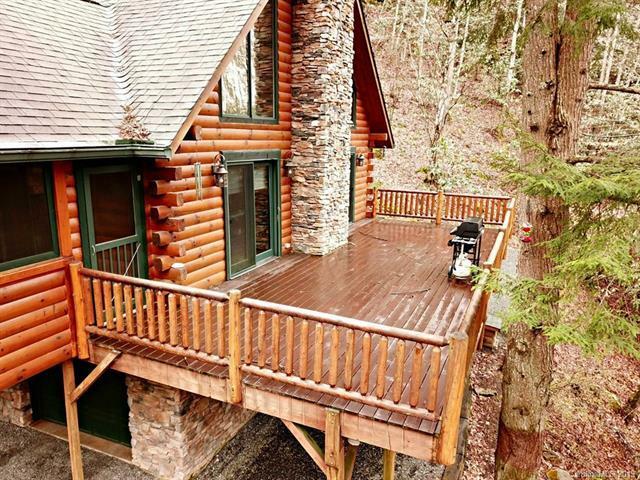 You will love the setting of this beautifully maintained and built "D" Log Home. 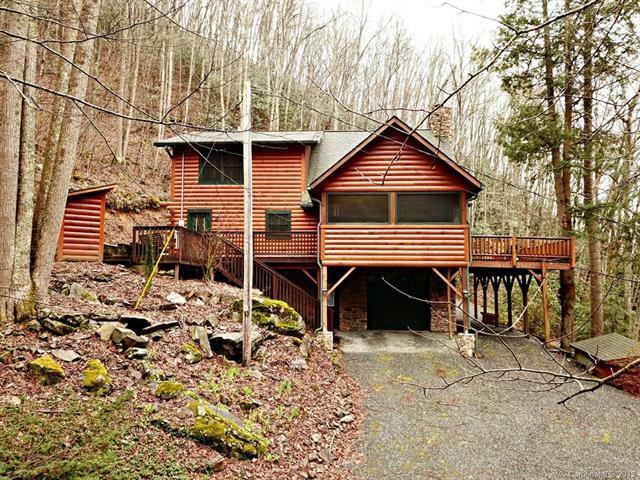 The home is nestled on almost 4 private acres and bordered completely on the rear of the property by USFS. 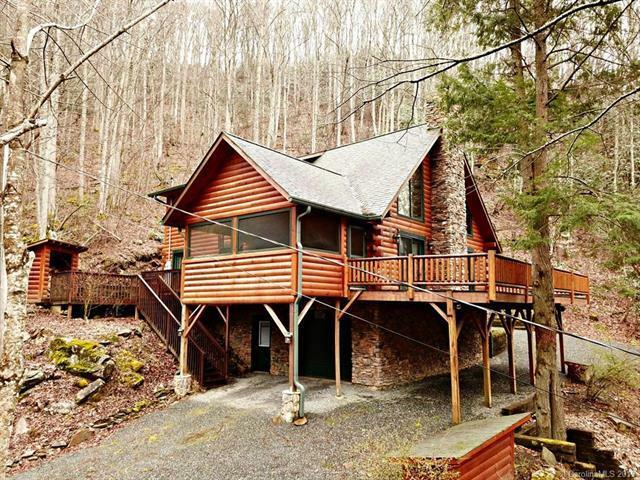 The home overlooks gorgeous Dicks Creek(450' of frontage) and you can hear the wonderful creek songs from the very large deck or the cozy convenient screened porch just off the dinning area. The home is perfect for entertaining and the kitchen is perfectly appointed with new stainless appliances including a new Samsung propane range and oven. The home features an over sized attached one car garage that affords easy entry and access to the home. T The main floor hosts a very open floor plan as well as the master bedroom and bath, the second floor has the two large guest rooms and a full bath. 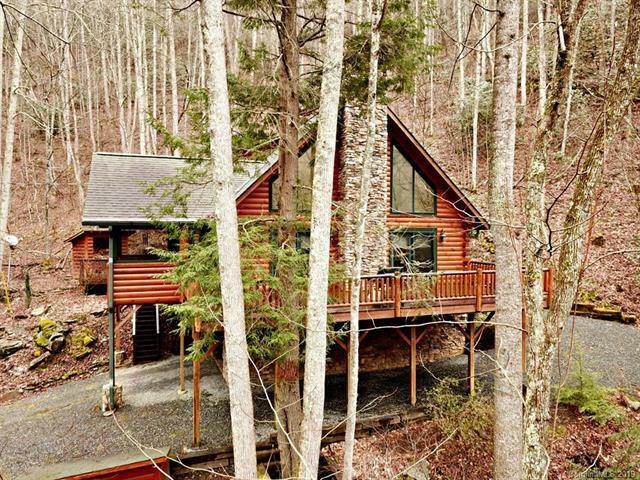 This home comes equipped with a whole home automatic propane generator (on yearly maintenance) and a newly installed "on demand" propane water heater.